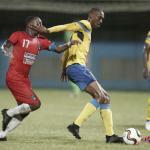 Trinidad and Tobago international midfielder Jomal Williams marked his return to the Pro League with a stoppage time goal yesterday evening, as W Connection downed St Ann’s Rangers 3-0 in a double header at the Ato Boldon Stadium in Couva. 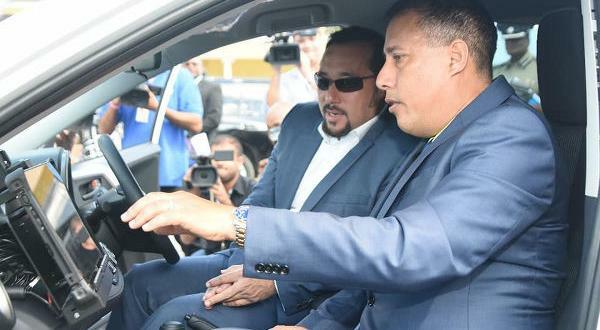 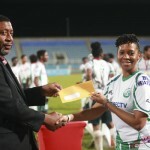 The result ensured that Connection started the league season on the front foot after the “Savonetta Boys” failed to advance to the final of the First Citizens Cup, which Central FC won last month. 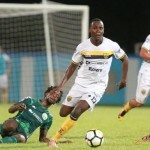 Still, Rangers might consider themselves unlucky to lose by three goals, as Connection added gloss to the score line with two second half stoppage time items. 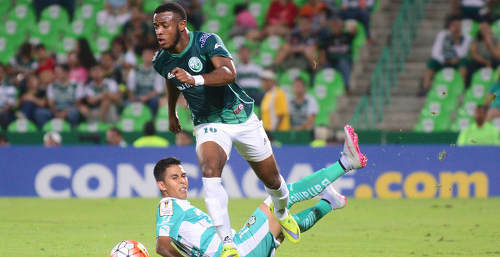 Photo: W Connection attacker Jomal Williams (right) in action against Santos Laguna in the CONCACAF Champions League. 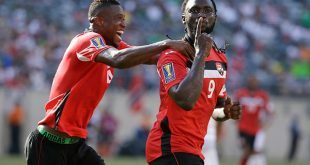 In yesterday’s other fixture at Couva, another Soca Warriors attacker, Tyrone Charles, also got among the goals as he helped Club Sando to a 2-1 win over Police FC. 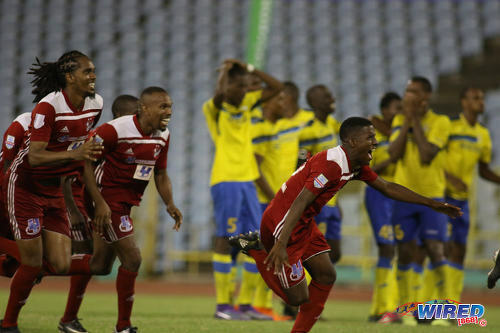 Photo: Central FC players (from right) Jameel Neptune, Akim Armstrong and Taryk Sampson react after edging Defence Force on penalties in the FCB Cup final at the Hasely Crawford Stadium on 20 July 2018. 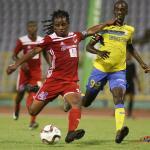 Club Sando 2 (Tyrone Charles 45+2, Kurdell Brathwaite OG 59), Police FC 1 (Kareem Freitas 81) at Ato Boldon Stadium.